Osama Bin Laden is unquestionably the leader of the world’s most deadly terrorist cult. He has perverted the teachings of Islam to create a fringe religious ideology, Bin Ladenism, where only al-Qaeda speaks for God. In his cult, suicide bombing is the highest form of worship and the mass murder of Muslims proves one’s devotion. Exposing al-Qaeda’s mission to create a nuclear armed terror Emirate, incite a Muslim civil war and eventually seize of control of Islam. Challenging and breaking the perceived spiritual link between the mainstream Islam and al-Qaeda’s cultist ideology. Attacking al-Qaeda fighters through precision intelligence and special operations missions, thereby reducing the deaths of innocent civilians. Reframing and restoring America’s shattered image in the developing world in order to support the global counterterrorism and counterinsurgency campaign. 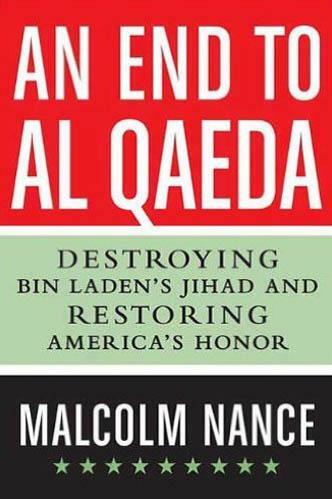 An End to al-Qaeda is both a revolutionary blueprint for destroying al-Qaeda and a fierce critique of America’s poorly executed war on Bin Laden’s terrorists.